has a twin size bed, six drawer dresser, wardrobe closet, and a night stand. Starts from $780. Call for more information. has a twin size bed, night stand,desk and a wardrobe closet. No food provided. Starts from $780. Call for more information. has a twin size bed, drawer dresser, desk and a wardrobe closet. has a twin size bed,a closet, night stand, desk. has 2 twin size beds, 2 desks, a closet, a six drawer dresser, and a night stand. Shared beroom price starts from $600. If preferred private, price starts from $850. Call for more information. has a twin size bed, desk, closet, a six drawer dresser, a night stand and a private full size bathroom. No food provided. Starts from $900. Call for more information. * Rooms A, B, C, D, & E share a bathroom. 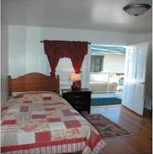 All rooms share the living room, dining area, kitchen and the laundry room. We recommend that you purchase your own supplies. has a twin size bed, night stand and a storage cabinet. No food provided. Starts from $900. Call for more information. (13 x 11ft) has a twin size bed, night stand and a closet. Copyright Elizabeth Manor, INC (c) All Rights Reserved.